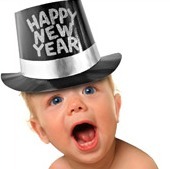 Moms and dads with kids at home do not get to go to a glamorous New Year’s Eve party. Create a family friendly party right at home with fun-filled activities and yummy food. 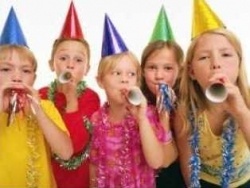 A New Year’s Eve party for kids is easy to do. Simply prepare a few things in advance such as a treat filled piñata or confetti filled balloons. A hot coca bar, a cupcake decorating bar, or even an ice cream sundae station will be a hit during the evening with the kids and adults. Have several activities planned such as playing karaoke, or having adorable New Years Eve coloring pages available with a set of fresh paint or markers for the evening. Consider making a fun party favor sensory bin for younger kids. For older kids build a countdown line of bags to open throughout the evening. Put disposable cameras, games, new movies or other fun items that get the kids excited inside the bags. When the new hour comes along, let the kids open the bags one at a time. At Party Dreams we create party hats and themed hats for all types of party’s.